observations: Having been encouraged by friends not to give up on Monica Dickens (I complained about her recently), I tried out this children’s book from her 1970s series (she was writing these simultaneously with the more-famous Follyfoot books); Riona’s recommendation. Out of [the yard] was coming a small Welsh pony, with maps of unknown continents all over his body in black and white. brought home hidden inside Tom’s shirt. It was orange-coloured, so they called it Pip. For a moment there I thought it was the shirt that was orange-coloured, and I was planning a whole other Clothes in Books entry, with an arty-smarty reference to Frank O’Hara’s fine poem Having a Coke with you. Carrie’s baby-sitting job reminded me of Rosalyn, the excellent sitter in Calvin & Hobbes. The whole family sounded like Caitlin Moran’s, as described in her book How to Be a Woman. Links on the blog: Carrie talks at night to Alexander the Great’s horse Bucephalas, who talked to us in this entry. School uniform has featured a couple of times recently: in this book Em, who might be about 10, is going to take the gym tunic from one uniform and turn it into a skirt to wear at a different school, so another potential entry, except it’s hard to imagine, and the whole idea is taken no further. 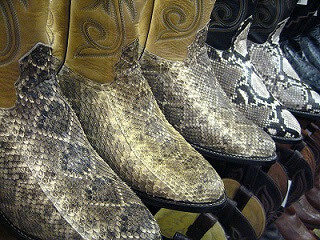 The picture, of snakeskin boots in a shop in Arizona, was taken by Gobeirne and can be found on Wikimedia Commons. 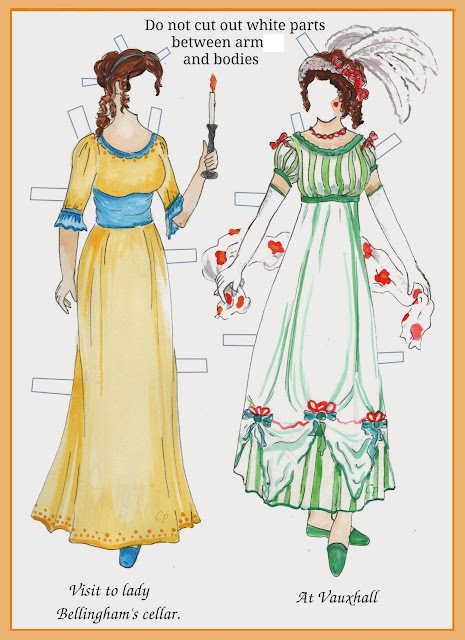 Moira - It's so interesting isn't it how our perceptions of stories and characters change as we get older. You probably would have thought those kids were great when you were young yourself. And I agree with you that there's a real appeal for a lot of kids to having your own place like the Boxcar Children do..
Oh, and I love that 'photo of the snakeskin books. Very effective. Yes indeed, and our perceptions of 'jeopardy' for children change so much as we get older - though also, modern-day books treat situations very differently. But when I was young there was nothing I liked better than a book about independent children.